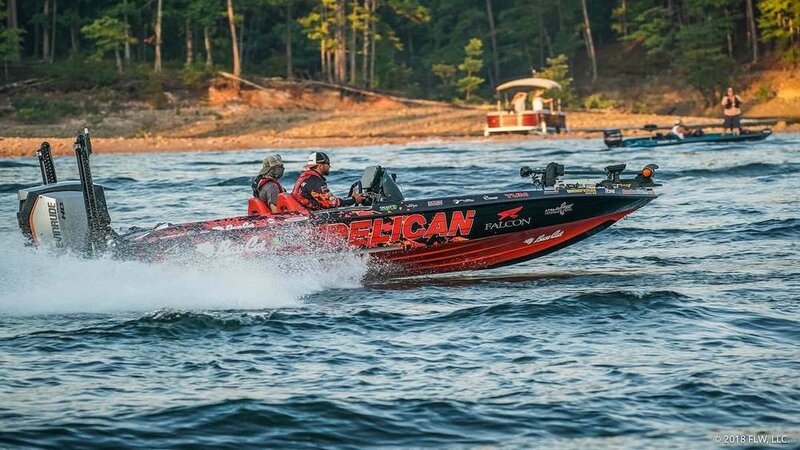 FLW Tour and Major Leauge Fishing Pro Zack Birge is known for his high-octane approach to fall fishing. After all he rose to instant stardom when he won the 2014 FLW Costa Series Championship on Wheeler Lake in the late fall. In 2016 Birge made another top 5 in the FLW Costa Series Championship, again in the late fall, this time on Table Rock Lake. On a lake that Birge has primarily struggled to get a check on, mainly due to its offshore prowess, he finished a respectable 31st place in the 2017 FLW Costa Series Championship on Kentucky Lake during a super tough November tournament. With fall traditionally being a power fisherman’s favorite time of the year, Zack open’s up and gives us an inside look at his top 5 Fall Baits. It shouldn’t be any surprise that a walking bait is at the top of Birge’s list. One of the most “traditional” fall baits and one of the most popular top water baits every made. You dont have to look to hard to find one, and you don’t have to get too picky with colors. When in doubt, just grab a bone one and go to work. “ The Heddon Super Spook is my #1. It’s became a staple in the industry that fall fishing and topwater go hand and hand. A spook fits the application better than any other bait in my box.” According to Birge. It’s not secret that he has used this bait in multiple tournaments to cash some major checks. Many anglers love throwing squarebill crankbaits in the fall. However, Birge goes against the traditional grain of burning the bank with a squarebill and opts for a different cranking presentation,. "A bandit 200 would be my #2 go to”. Says Birge. This crankbait is one that allows him to cover different water columns without having to change baits..” I like to run and gun and do a lot of non traditional things in the fall. This allows me to be adverse but efficient “ Ads Birge. Not every bass in the lake feels like chasing down a fast moving bait. Sometimes it requires Birge to let off the trolling motor, when he does, he usually picks up a Booyah Finesse Jig to dissect shallow cover or boat docks. Birge pairs it up with a Yum Craw Papi on the back after trimming about half an inch off the body. This gives the Booyah Finesse Jig a compact profile.
. “A booyah one knocker in about any shad color works for me in the fall also.” Birge also relies on more natural shad color patterns such as Foxy Shad, Chrome Blue, or Royal Shad to trigger bites from shad starved bass “ These Fish are mostly feeding on flats chasing bait balls this is a perfect application.